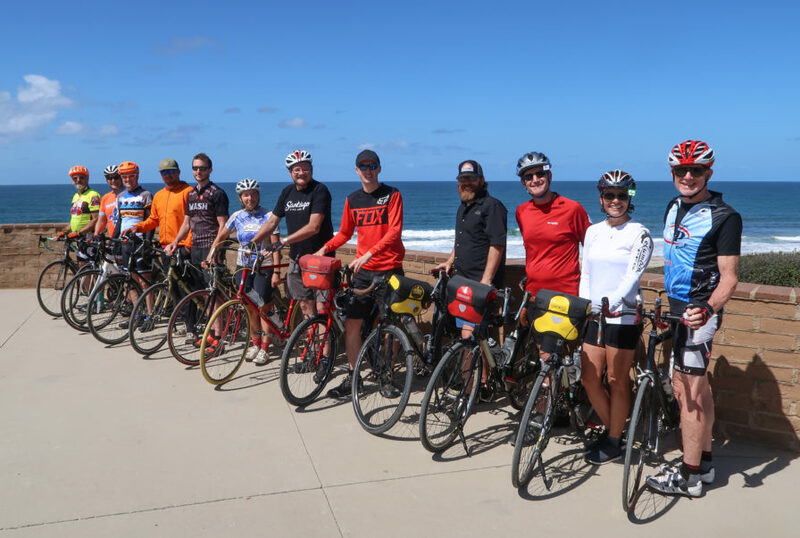 On September 23rd, 2017, Bicycle Touring Pro conducted its first ever meet-up/bike ride – a 35-mile out-and-back adventure down the Coronado Strand to International Friendship Park at the border of the United States and Mexico. 12 people from all across Southern California gathered at the Starbucks coffee shop on Orange Street in Coronado, California and together we cycled approximately 35 total miles down the Coronado Strand, through the city of Imperial Beach, across the Tijuana River to International Friendship Park at the border of the United States and Mexico… and then back to Coronado Island. 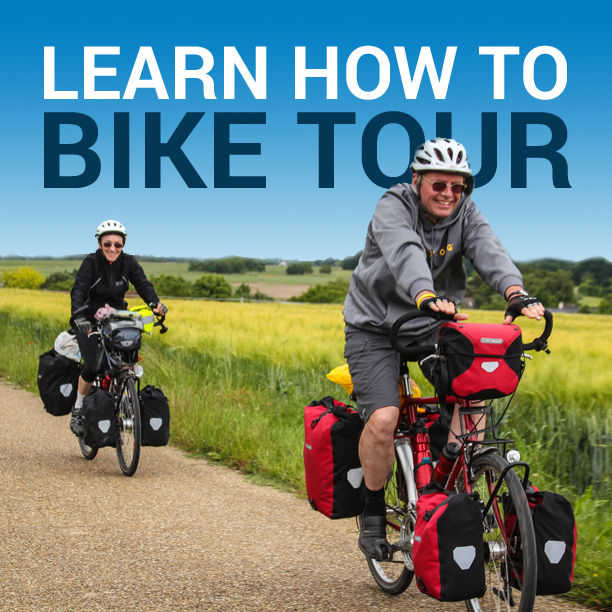 Click here to download the GPX & KLM information for this route. Parking can be a bit crazy on Coronado Island. If you park on Orange Street or even on one of its many side streets, you may have to pay for parking, depending on how long you plan to stay, where you park, and which day of the week you decide to visit the island. My recommendation is that you avoid the parking nightmare entirely by parking on one of the residential side streets near the center of Coronado island. 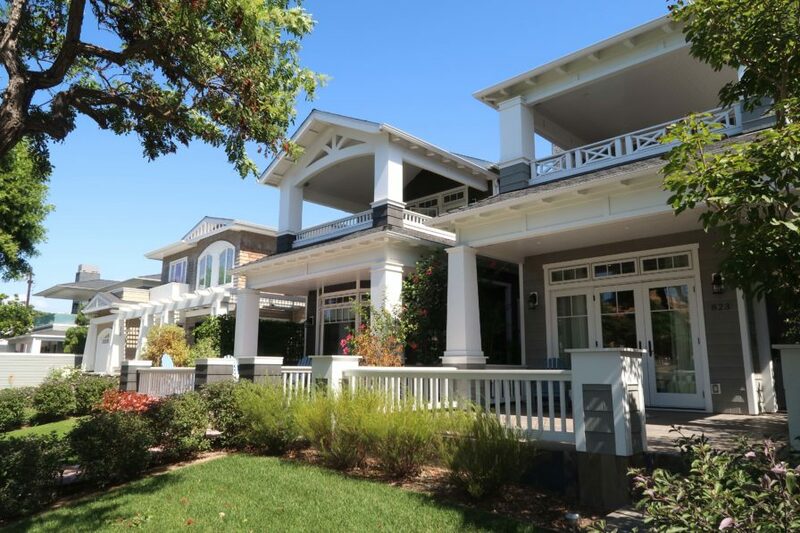 Parking on residential streets is legal, free and relatively easy to do. Just park a few streets north of Orange Street and you’ll be able to easily find a spot on the street to park your car. I chose Starbucks (960 Orange Ave, Coronado, CA 92118) as a good starting point for this bike ride, but you can really start just about anywhere you want on Coronado island. If you’re doing a morning bike ride, however, Starbucks is a great place to start. You can pick up some breakfast there or at the Panera Bread next door and begin your bike ride with a good meal in your stomach. Getting to the Coronado bike path from Starbucks on Orange Street is very easy. Just go to the corner of Orange and 10th Street, and follow 10th Street to the south for about 7 blocks (about 4/10 of a mile). When you reach Pomona Avenue, cross the street and you’ll see the start of the Coronado bike path on your right! This is a paved and separated bike path that runs all the way from Coronado Island to Imperial Beach. Enjoy the ride! There are a number of things worth seeing and doing along the Coronado bike path. The Hotel Del in Coronado, however, is easily the most iconic landmark along this route. Leave your bikes locked up outside, but be sure to go inside this beautiful hotel and take a quick walk around. The pool/beach on the backside of The Del is definitely worth a glance! If you’re looking for a good place to have a picnic, Glorietta Bay Park (just a short distance from the Hotel Del) is a great place to stop and enjoy a stunning view of San Diego Bay. There are some picnic tables here, but finding one that’s empty and in the shade can be difficult. If you’re planning to have a picnic, consider bringing your own umbrella and chairs. As you make your way further down the Coronado bike path, you’ll pass the Naval Amphibious Base. This is where the Navy Seals train. If you’re lucky, you might actually see the Navy Seals training on the beach or swimming in the water off the Coronado Strand. Wildlife is a plenty along the Coronado bike path. At the southern-most end of the Coronado bike path you will cycle past the San Diego Bay National Wildlife Refuge. Be sure to keep your eyes open for birds and fish. If you’re lucky, you might even see a seal, a whale or a dolphin swimming in the nearby waters. The city of Imperial Beach is nothing to write home about, but it’s a good place to stock up on food and water as you make your way to and from International Friendship Park at the border of the United States and Mexico. There are a number of restaurants along this route, as well as fast food chains, liquor stores and even a few bike shops (I recommend you visit 2 Wheels Cycling Boutique, which is located at the southern-most end of the Coronado bike path – 536 13th St Suite 8, Imperial Beach, CA 91932). The last mile or so of the bike ride to International Friendship Park is on a dirt/gravel road. If you’re riding a road bicycle with skinny tires, you may need to be careful here not to cause a puncture. International Friendship Park is little more than a parking lot with men’s and women’s bathrooms, a drinking fountain, a small area to look out at the ocean, and two tall metal walls separating the countries of the Mexico and the United States. You won’t be able to cross the border here, so you can leave your passport at home. It used to be that there was just one wall here separating Mexico from the United States, but a second dividing wall has recently been added. At International Friendship Park, it’s possible to go inside the first border wall and talk to people on the Mexican side of the border. This gap in the border fence is monitored heavily by armed border guards and only allows a limited number of people to be in this area at any one time. People living in the United States oftentimes use this gap in the border fence to speak with their friends, family members and loved ones back in Mexico. 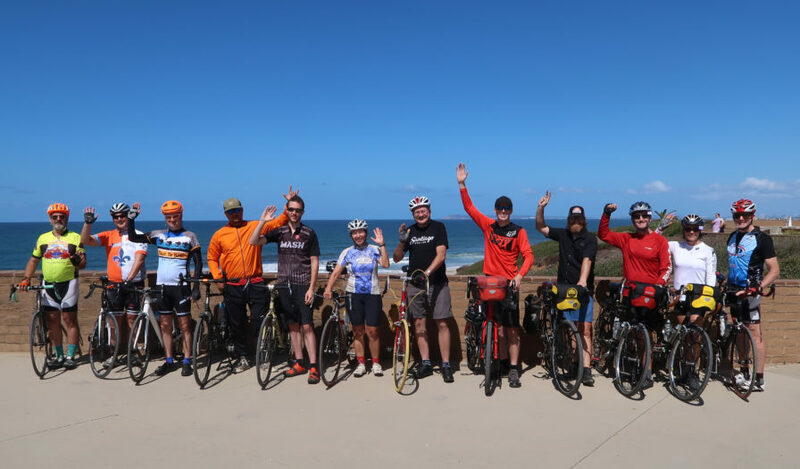 The 35-mile bike ride from Coronado Island to International Friendship Park at the Mexico/USA border is an out-and-back bike ride (17.5 miles there… and 17.5 miles back). After spending some time at International Friendship Park, simply follow the route back the same way you just came. 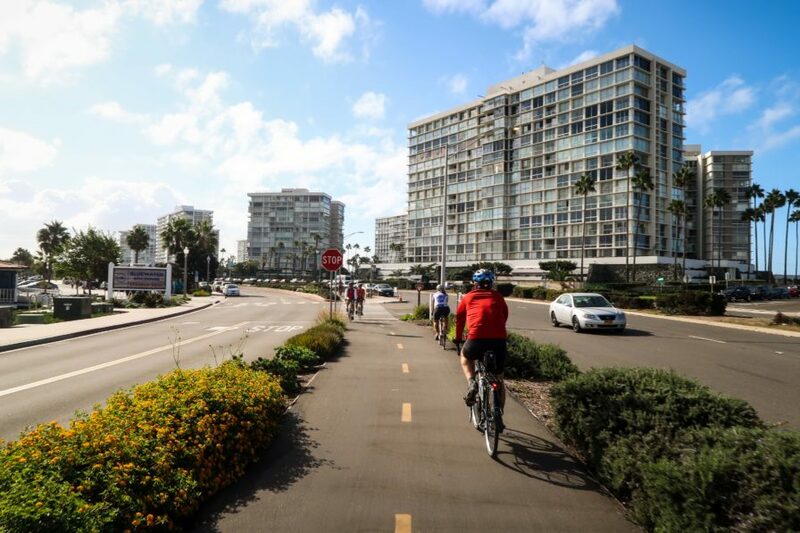 Cycle through Imperial Beach, head north on the Coronado bike path, and then make your way back into downtown Coronado. Once you reach Coronado island, grab some lunch at one of the local restaurants. Panera Bread (980 Orange Ave, Coronado, CA 92118) is a good place to eat, as is any of the local Mexican restaurants. 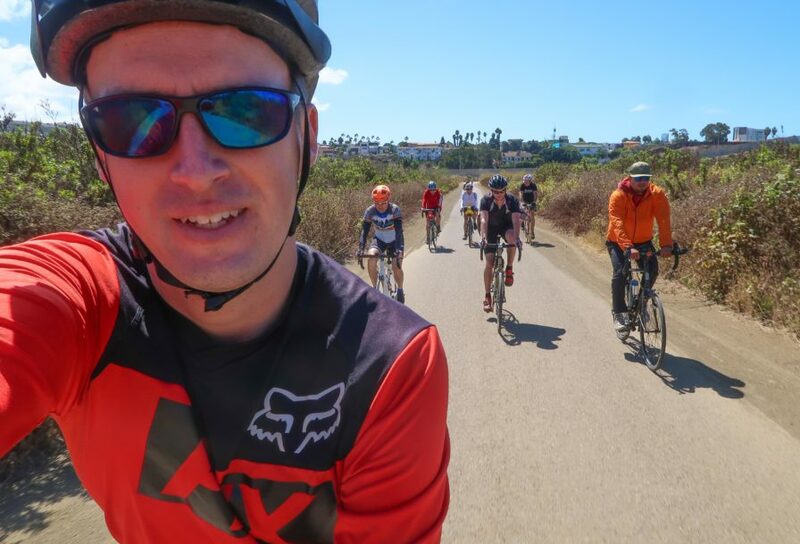 If you have any questions or concerns about cycling this 35-mile out-and-back bike ride from Coronado Island to the Mexican/American border, please leave a comment at the bottom of this article. And if you have any further suggestions on how the Coronado bike path could be improved, be sure to leave a comment for me as well. for the Coronado bike path. This entry was posted in Bicycle Touring Pro Articles, California, Featured Articles, Main Featured Articles, Mexico, Uncategorized, United States, Videos and tagged california, california bike path, coronado, coronado bike path, coronado bike route, coronado island, coronado strand, free gps coordinates, imperial beach, international friendship park, mexico, san diego, southern california bike routes, united states, usa bike routes.